LOS ANGELES – April 5, 2016 – Aaron Shelby, grandson of the company founder has joined the board of Carroll Shelby International, Inc., (OTC: CSBI.PK). In his new role, Mr. Shelby will work directly with Ford Motor Company and help expand CSI globally. Both an accomplished business person and auto enthusiast, Aaron Shelby is a native of Dallas, Texas. He is equally at home behind the wheel of his 2015 Ford Shelby GT350 as he is in the boardroom. Mr. Shelby earned a Bachelor of Science in Commerce – Finance degree from Santa Clara University and started his career as a credit analyst at Inwood National Bank in Dallas. He then moved on to operate his own business, Mr. Bracket. The automotive accessory company distributed products through aftermarket retailers. After selling Mr. Bracket, Aaron Shelby joined LegacyTexas Bank. With his father Patrick as Chairman, he continued the family’s association with the bank. With the consummation of a merger in January 2015, with another local Dallas area bank LegacyTexas is now public (NASDAQ: LTXB) and Aaron’s role has evolved to be Executive Vice President over Commercial Lending and operating as the Subsidiary Manager overseeing LegacyTexas Insurance, LegacyTexas Title and the LegacyTexas Mortgage. 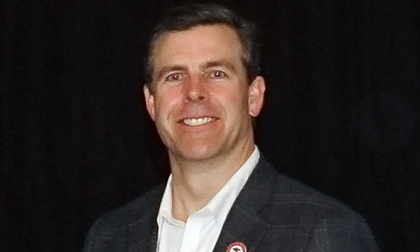 In addition to banking, Aaron operates the Shelby family’s timber business in East Texas and sits on the Board of Directors for the Dallas Children’s Theater, Shelby Automotive Museum and Carroll Shelby Foundation.